Real Estate industry is burgeoning as the urban architecture is really picking up fast from the last decade or two, it is in fact the finest and the highest growing industry around the world. Nowadays, the web is also acting as a medium as well as an easy real estate platform both for buyers as well as sellers. Generally speaking, the next generation uses the internet to search about anything under the sun, be it the latest footwear, designer outfits, or even a spy camera, everything is available just at the click of the mouse. So why not houses? Real estate industry too has its tentacles spread all across the World Wide Web. People seek out for the property and they also search for the builders, agencies, real estate agents, new constructions, brokers-related information, and much more over the web. 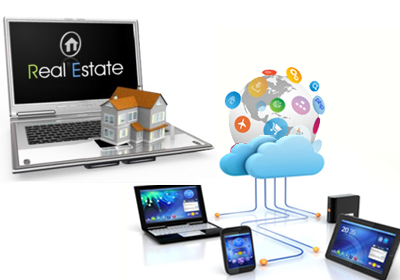 We can be your best destination if you are thinking on the lines of developing a real estate portal. We will be glad to design and develop a real estate portal that will add a mint of resourcefulness and ingenuity to your business. Our super talented team will harness the power of success for your business and will give the online remote control of that success in your hands by creating a user-friendly portal tailor-made to suit your business requirements. We convert your dreams into reality by providing you with the best and most creative online visibility at an attractive price. We are very passionate about giving quality services and completing the work on or sometimes even before time. We will work in tandem with you with utmost honesty as we believe in developing long term relationships with our esteemed clients.